Family Resource Centres around the country are receiving an additional €2.120 million in funding to fund small works and the upgrading of equipment. The ‘one-off’ funding is being provided through Tusla – Child and Family Agency and according to the Minister for Children and Youth Affairs Dr Katherine Zappone shows that support for such centres will be a priority for the year ahead. 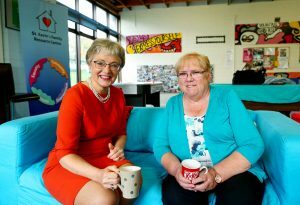 Speaking today, Minister Zappone said “In every part of the country I have seen at first hand the work of Family Resource Centres. These community hubs not only offer a chance to socialise they are also provide vital information and supports, often when a person is going through a time of crisis. Fred McBride, Chief Executive of Tusla, said “Family Resource Centres are a vital part of Tusla’s service delivery. Evidence demonstrates that local wrap-around support is the best way to create and sustain resilient children, families and communities. In addition to the €2.120 million being transferred this week, additional funding of up to €10,000 will be made available to each of the existing 109 Family Resource Centres for operational requirements. €1.76 million has also been allocated to establish 11 new Family Resource Centres in 2018. A total of €16.37 million will be invested next year by Tusla into its Family Resource Centre Programme, an increase of 21% compared to 2017. The Family Resource Centre Programme is a national programme core funded by Tusla, which provides funding to over 109 Family Resource Centres in Ireland. A full list of all Family Resource Centres broken down by county is available on the Tusla website. The principal objective of the Family Resource Centre Programme is to combat disadvantage and to strengthen and empower children, families and communities. A Family Resource Centre is a service which provides supports to families such as social work, counselling, education and training courses and youth groups. Each Family Resource Centre operates autonomously working inclusively with individuals, families, communities, and both statutory and non-statutory agencies. There are currently 109 communities supported through the Family Resource Centre Programme, covering a catchment area of nearly one million people. Applications for an additional 11 Family Resource Centres are open until Wednesday 20th December 2017. The application form is available on the Tusla website at http://www.tusla.ie/services/family-community-support/family-resource-centres/application-entry-form/.